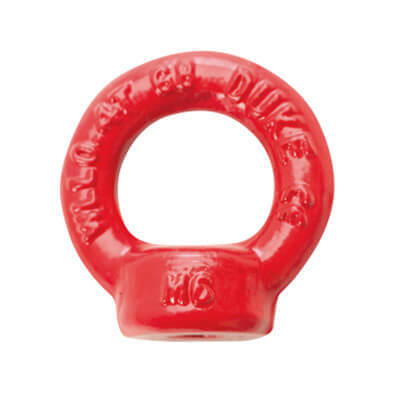 Heavy duty Lifting Eye Nuts in a range of M6 to M48 sizes, with variants suitable for 0.4 to 32 Tonne lifting applications. Lifting Eye Nuts available with metric thread: M6, M10, M12, M16, M20, M24, M30, M36, M42, M48. Working load limit range of 0.4 to 32 Tonne (Never Exceed WLL). Fatigue rated x 1.5 WLL for 20.000 cycles. We recommend only using Grade 80 Eye Nuts with Grade 80 Components. 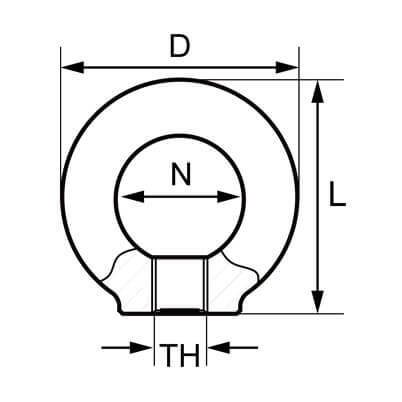 Loading Eye Nuts at an angle will result in a reduced Working Load Limit. Please view our technical data sheet below for WLL limits. Looks good hopefully it holds up!